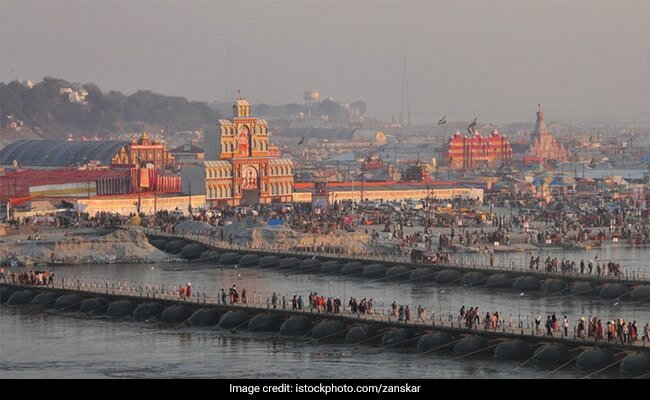 For Kumbh 2019, Prayagraj To Have "World's Largest Temporary City"
The temporary city in Prayagraj will have 250 km long roads and 22 pontoon bridges. Kumbh 2019: The temporary city will have 250 km long roads and 22 pontoon bridges. Uttar Pradesh's Prayagraj that is hosting Kumbh Mela 2019 will have the largest temporary city of the world, the Uttar Pradesh government said on Monday. The temporary city will have 250 km long roads and 22 pontoon bridges. The Kumbh Mela area, for the first time, will be brightened up with over 40,000 LED lights. UNESCO has already included Kumbh in the list of "Intangible Cultural Heritage of Humanity". At this year's Kumbh Mela, the Uttar Pradesh government expects 6 lakh villagers from across India and over 5,000 NRIs. It is also for the first time in the last 450 years that the devotees coming to the Kumbh will have an opportunity to pray at 'Akshay Vat' and 'Sarasvati Koop'. "The Kumbh is organised at Triveni Sangam, but it is related to entire Prayagraj area. Keeping this in view, the state government has beautified all the places directly or indirectly linked to the Kumbh. For convenience of the devotees and the tourists visiting the Kumbh, the facility of reaching there by air, road and river has been made for the first time", read a statement issued by the state government. The state government had earmarked an amount of Rs 2,800 crore for Kumbh Mela-2019 along with the various projects of stable development. 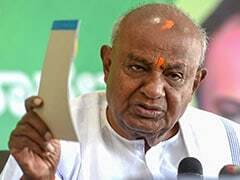 Besides, works of stable development are being carried out at Kumbh Mela and Prayagraj with a total amount of Rs 4,300 crore from other budget. During 2013 Kumbh held in Prayagraj, an amount of Rs 1,214 crore was spent. Ambassadors of about 71 countries have already witnessed the preparations for this grand event. They have unfurled the national flag of their countries on the bank of Triveni in Kumbh Mela area. The state government also said that the representatives of 192 countries will be visiting Kumbh in the month of February. To boost security, the Kumbh Mela area has been brought under the surveillance of Integrated Control and Command Centre and CCTV cameras. "Integrated Control and Command Centre of the smart city project has been dedicated to Prayagraj. The system will facilitate controlling and keeping safe the traffic movement and the crowd coming to the Mela," said the government. "There will be two control and command centres under a scheme of about Rs 247 crore in Prayagraj. Of these, one Control and Command Centre costing Rs 116 crore has been completed and made functional", said the government. Last week, the Air India announced new flights to Prayagraj from Delhi, Ahmedabad and Kolkata. These flights will help facilitate the movement of the passengers during the Kumbh Mela 2019. The flights are scheduled to operate from January 13 to March 30. The Ardh Kumbh Mela will begin from January 14 and continue till March 3 at the Triveni Sangam - the holy confluence of river Ganga, Yamuna and Saraswati. Thousands of devotees are expected to arrive in the city to take a holy dip in Triveni Sangam.